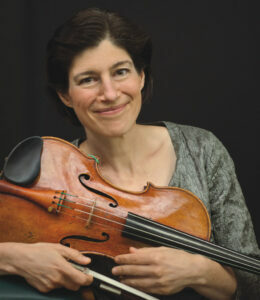 Pictured is Grammy award-winning Kim Kashkashian, an internationally-recognized voice on viola who will perform at the “Mozart by the Sea” concert at the Tred Avon Yacht Club at this year’s Chesapeake Music’s Chesapeake Chamber Music Festival on June 4 through 18, 2017. Pictured is violinist Tessa Lark, who will be appearing at the Chesapeake Chamber Music Festival for the first time this year. Lark was the recipient of the 2016 Avery Fisher Career Grant. Pictured is Wei-Ping Chou, who will perform on the French horn in several concerts during the first week of the Festival. Festival-goers will experience the extraordinary as they travel the world through classical music at Chesapeake Music’s Annual Chesapeake Chamber Music Festival, which will be held from June 4 through June 18, 2017. Artistic Directors Marcy Rosen and J. Lawrie Bloom have developed an exciting program featuring 10 concerts over two music-filled weeks, including the premiere of a Primosch Quintet commissioned for Chesapeake Music. The Festival includes acclaimed musicians from the world stage, renowned musical ensembles, and a range of familiar classics—Beethoven, Mozart, Gershwin, Ravel, Liszt, Tchaikovsky and more from Germany, Austria, Czechoslovakia, Italy, Hungary, Russia, Latin America, France and the United States. Each concert represents composers from a different country. Several concerts will include receptions with food and beverage pairings echoing the music of that country. The opening concert at the Avalon Theatre will whet Festival-goers appetites for what’s to come with a potpourri of music from around the world and a pre-concert reception where guests can mix and mingle with old friends. Jonathan Palevsky of WBJC will provide live concert commentary that night to kick off the Festival. On Friday evening at Christ Church, Easton, concert-goers will be treated to music from the United States, including the magic of Gershwin’s Lullaby for string quartet and Barber’s Adagio for string quartet. Thanks to the generosity of Arnold and Zena Lerman, this concert will also feature the premiere of a Primosch Quintet for oboe, violin, viola, cello and piano, commissioned for Chesapeake Music and performed by Peggy Pearson, Diane Walsh, Catherine Cho and others. 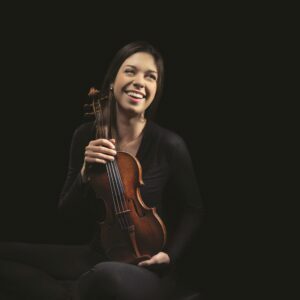 In addition to “Mozart by the Sea” at the Tred Avon Yacht Club, during the first week, concert-goers can also travel to Trinity Cathedral to enjoy Germany’s Beethoven and Brahms. Sponsors of this year’s Festival include the Talbot County Arts Council, the Maryland State Arts Council, The Star Democrat, Talbot Spy, and What’s Up Media. Additional generous financial support from corporate, public and private benefactors enables Chesapeake Music to offer affordable tickets for Festival concerts and recitals; open rehearsals are free to the general public. This year’s concerts offer the opportunity to travel the world through an incredible variety of music with internationally-acclaimed artists right here on the Eastern Shore. To purchase tickets, visit www.ChesapeakeMusic.org or call 410 819-0380. #1: Pictured is Grammy award-winning Kim Kashkashian, an internationally-recognized voice on viola who will perform at the “Mozart by the Sea” concert at the Tred Avon Yacht Club at this year’s Chesapeake Music’s Chesapeake Chamber Music Festival on June 4 through 18, 2017. #2: Pictured is violinist Tessa Lark, who will be appearing at the Chesapeake Chamber Music Festival for the first time this year. Lark was the recipient of the 2016 Avery Fisher Career Grant and will appear at the “Mozart by the Sea” and Christ Church USA concerts. 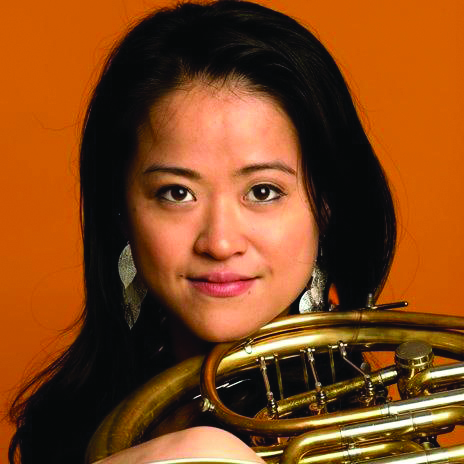 #3: Pictured is Wei-Ping Chou, who will perform on the French horn in several concerts during the first week of the Festival. Sunday, June 4, 5:30 p.m.
Tuesday, June 6, 5:30 p.m.
Wednesday, June 7, 10 a.m.
Thursday, June 8, 5:30 p.m.
Friday, June 9, 5:30 p.m.